"50 Winning Duplicate Tips for the Improving Tournament Player" by Ron Klinger. This is the duplicate bridge partner of "100 Winning Bridge Tips". It is designed for the improving tournament player and aims to provide the best strategy for bidding, play and defence at matchpointed pairs. "Bridge at Ruff's Club" by Hubert Phillips (edited By Terence Reese) consists of articles previously written by Phillips and published in The Lady and The Sunday News of India. As editor, Reese made "expert" revisions to the collection of articles. In the first paragraph of the book's Foreword, Phillips acknowledges Reese "... with whom I have had the pleasure of collaborating for something like the last eighteen years." The Foreword is dated March 1951. "Bridge with Mr. Playbetter" by Hubert Phillips. A 32 page pamphlet containing reprints of the hands in the text was inserted in a pocket on the inside back cover of the book to "enable the reader to follow the play of each hand without having to keep turning over the page." "Test your bridge: An anthology of posers and problems" by Ben Cohen. This book contains the whole of the four par contests designed by Terence Reese and Skid Simon for Waddington in the late 1930s. 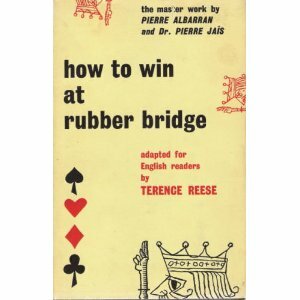 "How to Win at Rubber Bridge" by P. Albarran and Dr. Pierre Jaïs, adapted for English readers by Terence Reese. The book was first published in 1959 with the English translation published first in 1961. It contains a certain humour, profoundness and orginality, which won tremendous acclaim and popularity in France and the rest of Europe. 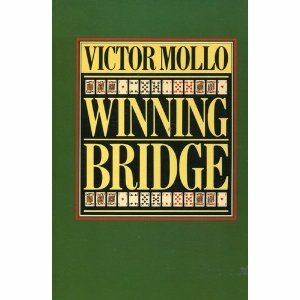 "Winning Bridge" by Victor Mollo. This is a classic card-play book by Victor Mollo. Many of the hands were subsequently used ina re-write by Robert King using the Menagerie characters in the book "Winning Bridge in the Menagerie". "How Good is Your Bridge?" by Victor Mollo. 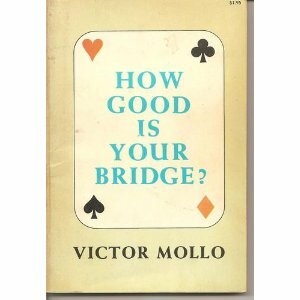 This book will tell you, in very certain terms, how good your bridge really is. 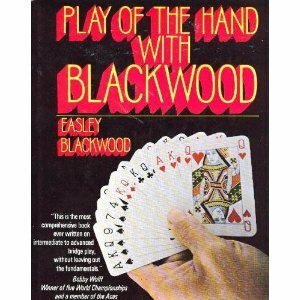 "Play of the Hand with Blackwood" by Easley Blackwood. This book has a colloquial style and thoughtful approach; of all the books I've read on card play in bridge, this was the the one I spent the most time studying, and it remains my favorite on the subject today. It is uitable for starting to intermediate bridge players, but, like most of his books on card play, any serious bridge player could help refresh their game by dipping into this book. 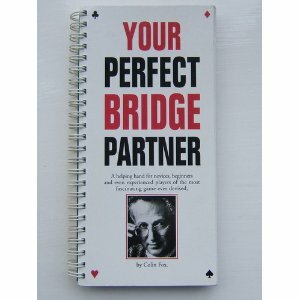 "Your Perfect Bridge Partner" by Colin Lewis Fox. 'A helpful hand for novices, beginners and even experienced players of the most fasinating game ever devised'. "Culbertson Point-count Bidding" by Ely Culbertson. Improved and simplified 4-3-2-1 with the new rule of 3 & 4 for pre-emptive openings. Includes new asking bids and point-count standards. Every bid and lead at a glance. "Contract Bridge Blue Book" by Ely Culbertson. This classic is the first ever book on contract bridge and is the book that took America by storm back in 1933. 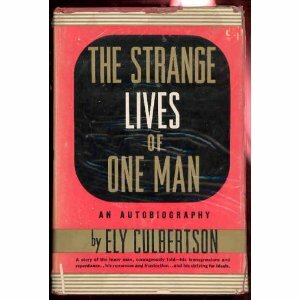 "The Strange Lives of One Man", an autobiography by Ely Culbertson. Ely was a great entrepreneur who built publishing and teaching empires in contract bridge. he was one of the world's greatest bridge player, was a great showman, was extremely lucky, even given his extreme virtues, to have one of history's great women (and bridge player) as a wife. And Ely wrote a darn good book about it all. "Guide to Better Bridge " by Ron Klinger is for players who have mastered the basics and who now want to improve their game. By following the advice contained in this book from Australian bridge master Ron Klinger, you’ll know you’re doing the right thing - improving both your skill and confidence. You’ll have plenty of opportunity to learn, with 128 complete deals, over 350 sets of two hands for partnership bidding practice, 600 exercises and quiz questions, and 200 revision questions. "Improve Your Opening Leads" by Ron Klinger. The opening lead is one of the toughest areas of bridge. By following the guidelines in this book not only will you find the winning lead more often, but you will also be able to avoid the futile or dangerous leads which make declarer's task easier. By giving less away with the opening lead, your scores are bound to improve. This book is about the logic and methods for finding the best lead time and time again. The first section deals with the approach you should adopt before you even consider plucking a card from your hand. It provides a series of steps to enable you to come up with the best start. This is followed by a section of practical problems that arose in major competitions where the very best players did not always find the right answer. Most importantly, the solutions to each problem include the logic behind the right choice and the clues that should point you in the right direction. After completing this book, perhaps you will not find the killing lead every time, but you will find it more often..
"Bridge for Tournament Players" by Terence Reese and Albert Dormer. As the authors point out, in duplicate bridge, one routinely risks one's contract to get an overtrick, because the margin by which you beats the other pairs in ypur direction does not matter as long as you beat them. Your +630 at 3NT making +1 may be fine, beating the +620 scores for 4 of a major, while +600 (which you get by making a safety play) may well get you a zero. On the other hand, in competitive auctions, while +200 beats all part scores, you only need to double if you feel that most pairs your way will indeed get a plus score. Whether you play Acol or any natural bidding system, will enjoy the recommendations made to modify it for duplicate bridge. Of course, you may already play many of them. These include a variety of competitive doubles. There are some "old" conventions, such as Swiss, Lightner doubles, and Unusual notrumps. These conventions were around for some time when the book was written (1968), but the way the authors use them is a little different from what you might expect. And some "new" (1968) conventions are suggested, such as Aspro over opponent's 1 NT opening.